There is no doubt that bitcoin is very expensive even as the day goes by. Ranging over and between eight thousand dollars, we will all belive that not everyone reading this can afford it even me right here so you will how difficult it will be to buy one bitcoin let alone buying it in large quantities. Hence the purpose of this blog post will be based on taking a look on how we can get more from investing the little bitcoin we have in other cryptocurrencies in the coin exchange platfroms. 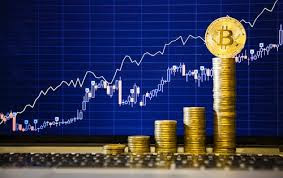 Theoretically, if you got a hundred-dollar worth of bitcoin, I belive you can buy a large quantities of smaller coins or even to extent and then in turn sell these small tokens when there is an increase in price, with this strategy you will be making appreciable gain within a short period. If you have being following my daily updates on cryptopia, I am sure that must have gotten a little idead about what we have blogging for some time now although you might know how to go about it, I think you should still keep up with us because out of this you can turn to a millionaire in a twinkle of an eye. So for you a beginner this post is for you and refresh to professionals in the field. In a simple way we will recall that as at year 2017 Bitcoin sold for a thousand dollar every was like hey!, what is happening ?. In January this year, it rose to between sixteen and seventeen thousand dollars per bitcoin, and as I write this article, it sells for a little over eight thousand dollars.for this reason Bitcoin has become the most popular cryptocurrency out there and understandably, making everyone good investor wants a piece of it. The smart ones will buy it and trade it for other cryptocurrencies. How is that possible? It is called cryptocurrency trading. How to start trading cryptocurrencies. >> Copy your bitcoin wallet address as displayed to you and send to whoever you are buying the bitcoin from. Once your bitcoin has been deposited into your wallet, you are ready to start trading. The next step is to click on Exchange to look for the coin that drop and buy with your bitcoin, then leave it as long as it take to rise then you sell. stay with us as we bring you what to look know when selling and buying coins on exchange platforms.